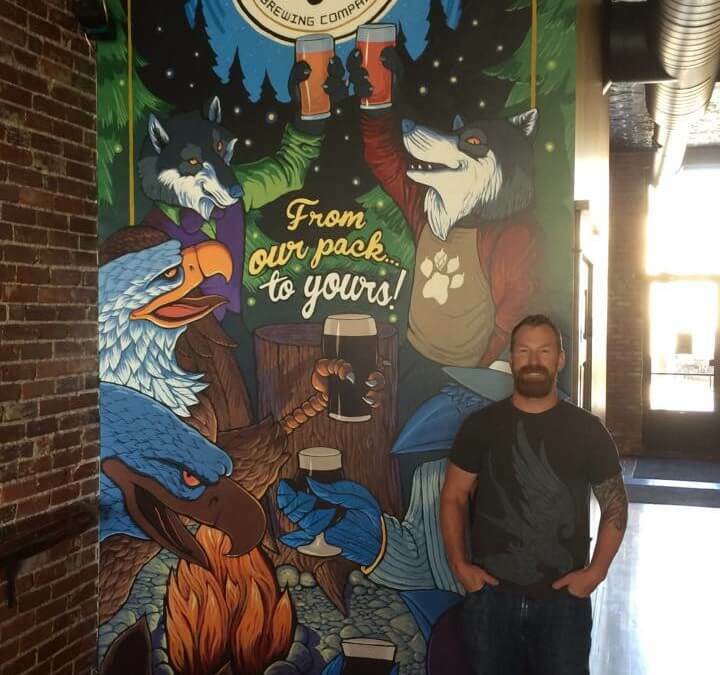 I was lucky enough that the guys at Lupine Brewing wanted to move forward with having a second mural done in their new taproom. The first mural was of their logo in white on a brick wall. I was able to do that one before we moved down to Arizona. This second one was much more elaborate, and ended up taking me 5+ days. For this one, I flew up to the Cities for a week. A quick plug for Lupine… their beers are awesome! Honestly. If you get a chance, check out their website (www.lupinebrewing.com) and see if there’s a restaurant near you that serves their beer. Otherwise, head out to Delano, and have your pick. My two favorites: Murder of Cranberries and Destruction!